Community Gardening for Idiots-back home: Homely comforts! The lavender is beautiful at the moment. The three bushes we have may not quite give you the impression of being in southern France but they are prolific in their flowering. Gathering bunches to place in the house, saving the seeds for iconic lavender bags really brings the French countryside into your home. Conversation this week has revolved around turning the compost. In fact it was the highlight of the weekend. Ms Tagalong was off gallivanting on Wallis Lake and on her return she asked Ms Mova what she had been doing. With such delight she told her that there was quite a group oohing and aahing at the hot compost as it was turned. The sweet smell of success! In the spirit of all things chicken, Ms Tagalong's sister-in-law sent her a 2012chicken calendar which she is just loving! 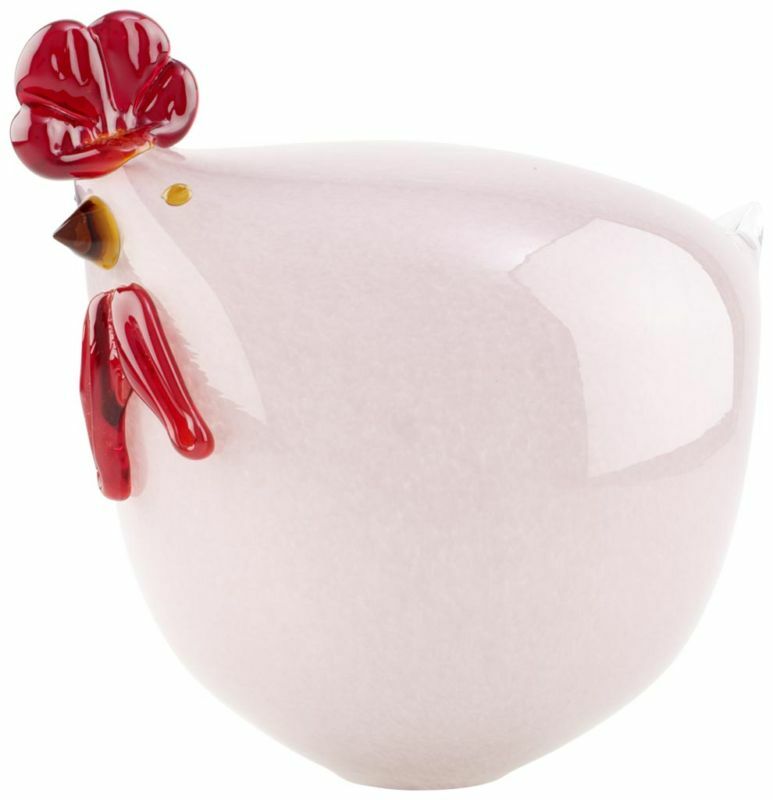 And walking into Ms Mova's kitchen today there was the beautiful gift of a glass chicken. Thanks to Ms Renovator who had had her eye on it for a while it now has pride of place on the dining table.